On Tuesday 27th September Ferran Adrià will be in London to promote his new book, The Family Meal: Home cooking with Ferran Adrià. In celebration of this, we would love to invite you to join a family meal at the Google Building from 12.00pm to 14.00pm with Ferran who will be dishing the meal up, followed by a talk from him to discuss the importance of a family meal. Sounds like fun, doesn't it? I realise my own relationship with Adrià's work is slightly more complicated than some, but only a fool would dismiss the massive impact - for better or for worse - El Bulli has had on the way people eat in restaurants. 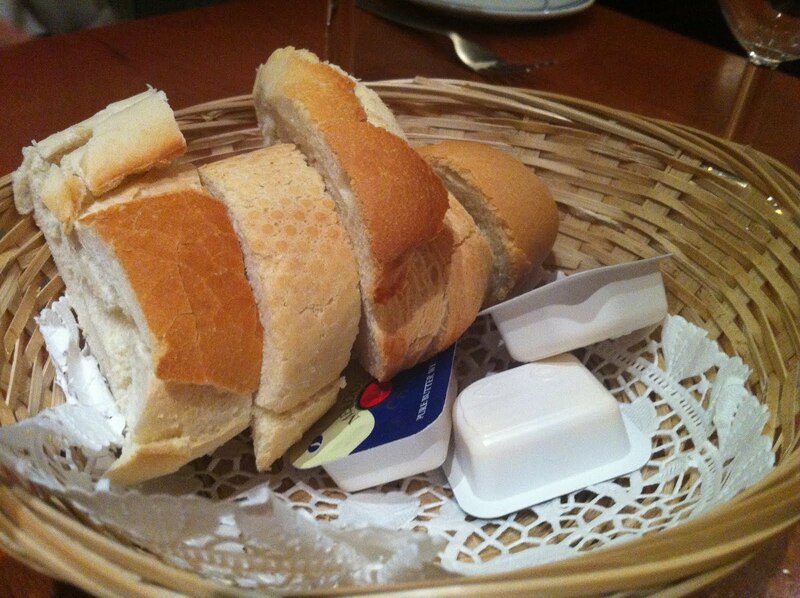 And having tried the best - and worst - of the experimental chef's product in Spain (and only just lived to tell the tale), I was genuinely interested to see what he could do for more humble dishes. True, I'm no hard-boiled Ferran Adrià fanboy, but I like a Caesar salad as much as the next man, and trotted off to Victoria with high hopes. What could go wrong? The answer, in case you're wondering, was more or less everything. Firstly, it turns out there are two 'Google Buildings', a fact we (that is, myself and the small gang of food writers and bloggers invited along that day) were only alerted to once we had cleared security and been given sticky name tags at the wrong one. Once we'd trooped 100 yards up the road to the correct building, cleared security for a second time, been given a different plastic badge and herded into a glass lift to the 1st floor for yet another security routine then the 3rd (no sign of any stairs), it was all starting to get a bit stressful. I realised I was losing my appetite (shocking, I know) and couldn't at first quite put my finger on why; then it struck me. The whole experience, the visitors' pass, the unfamiliar strip-lit corridors, the awkward procession past office workers queuing hungrily for lunch while you tried to avoid eye contact, it was like waiting for an interview. I'm sure the original idea of having Adria's food served in an office canteen made vague utilitarian sense, but the reality of it was unpleasant and oppressive - nobody eats at an office canteen out of choice, they all have to be there. 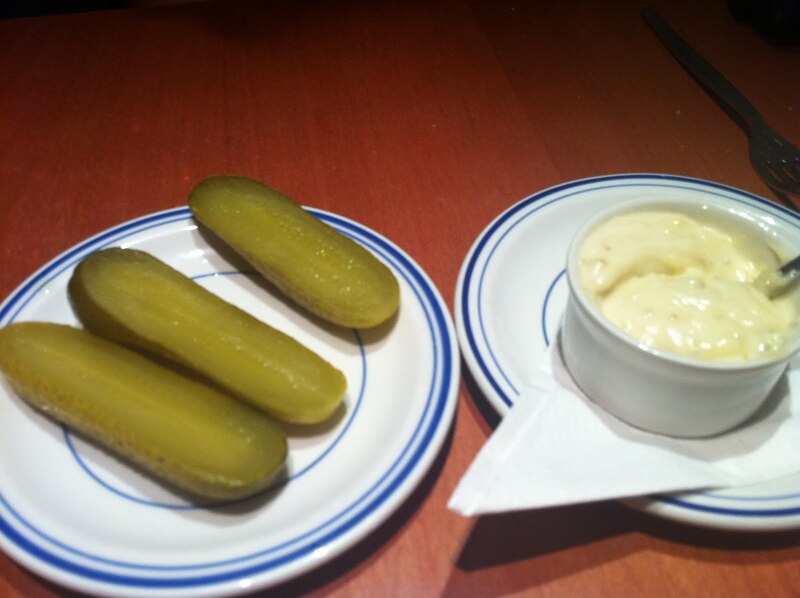 This is not a comfortable, restaurant environment. This is high school. Shown to a reserved table right under the noses of queuing Google staff, we were told food would start arriving in five minutes, and patiently waited. A good twenty minutes later, with no sign of anything happening, one of our party got up to see if he could find anyone in charge, and after disappearing over the far end of the canteen came back with news that Adrià along with various other far more important (I don't mean that to sound too cynical - I'm quite aware of food bloggers' position in the grand pecking order) top-flight PR people and journalists were having their own private Adrià-time, and we had essentially been forgotten. Not long before I decided to give the whole thing up and sulk off home, someone eventually appeared with the news that, in fact, we needed to queue up for food after all, and after rather embarrassingly herding us towards the front of the lunch line (the people behind us were either used to this kind of thing happening or hid their frustration very well), we started loading our greasy plastic trays with salads and charcuterie. 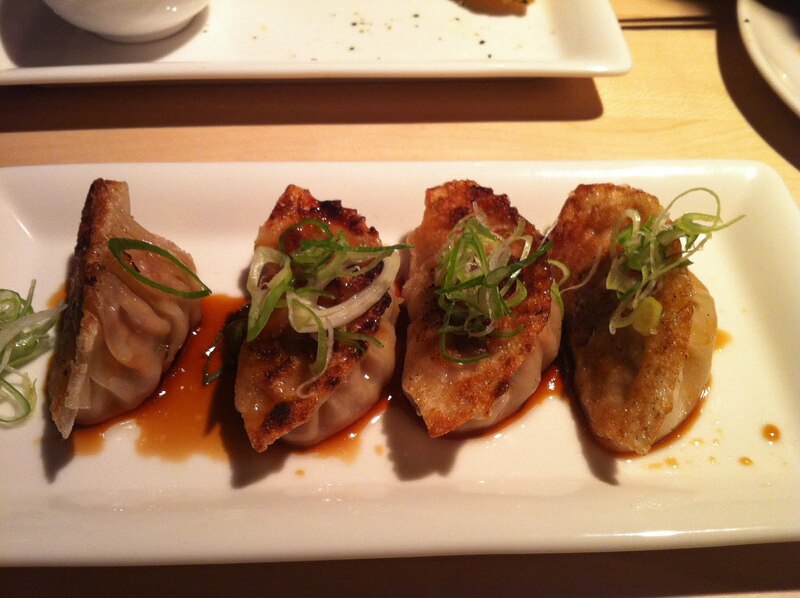 Objectively, I think the food was quite nice. It's probably not the greatest compliment in the world to say it's the best work canteen lunch I've ever had, but I should, in all fairness, give them that much. The lamb kebabs were moist but under seasoned, the risotto was diabolical (you could have used it as an industrial sealant) and most of the "hot" food... wasn't, but I liked the Italian ham selection and the breads (neither of which Adria had anything to do with) and there was a very nice fresh lime and guava drink to wash it all down with. But by this stage, the battle had been lost and I found it very hard to ignore the fact that there we were, on the "bloggers table", left to pick up our own lunch well out of sight of where the real action was happening, surrounded by hundreds of Google employees presumably rather nonplussed that a PR company had chosen to feature their lunch break as part of some kind of ironic office-themed book launch. Now, in many ways, food bloggers have it easy - possibly way too easy. We write what we want, when we want to, we get offered free meals, we (very occasionally) get sent on fancy press trips with goodie bags and kitchen tours and flattered with attention from PRs and restaurants. The downside, such as there is one, is that we do it all for free - just for the sheer nerdy, obsessive love of it, but there are certainly worse ways to spend your free time. And I can understand why anyone reading this would think I have no right to moan about yet another gratis lunch being not quite up to scratch, I mean, who cares? Certainly not Adria, whose (very good in fact) book will no doubt be a huge success, and certainly not anyone too high up at the PR company in question, who accused me of throwing my "toys out of the pram" when frustration got the better of me and I tweeted about what a miserable time I was having. But the point is, there are better ways of going about these things. I've been to some PR events where proceedings have dissolved into complete shambles from the very first moment but they've still been great fun thanks to just a general sense of graciousness and hospitality. It's not about the fact we had to wait around, it wasn't so much the disappointing food or the sterile (and, if I'm going to be honest, rather culty) atmosphere at Google HQ, it was the feeling that we weren't really needed or fulfilling any kind of noticeable role. And maybe we weren't, but as I say, at least try and pretend we were - or don't bother inviting us in the first place. "We thought you'd be grateful", was the defensive response from one of the PR people when we voiced our annoyance at having been left to our own devices in a staff canteen for the best part of an hour and a half. "I know", I thought. Anyway, apologies for the protracted rant on issues that affect no more than a handful of people in London, and I promise normal service will be resumed as soon as possible. The happy fact is, most of the PR people I have contact with are enthusiastic, knowledgable and thoroughly competent. For every incident like the above there are hundreds that are a joy to be involved with and whatever you might think about the consequences of bloggers (and journalists for that matter) getting too close to PR companies, when the relationship works, it's to everyone's benefit. And yours, dear reader, too - I picked up a copy of The Family Meal from one of the friendlier PRs today (well of course I did, I may be ungrateful but I'm not stupid), and I shall donate it to someone picked at random from the comments on this post. As ever, agreement, argument, abuse and lunacy all gratefully received. Senkai is the new name for Cocoon. I'm not sure what went wrong with Cocoon; by all accounts it was a very nice Japanese restaurant that boasted a proper sushi master and a fantastic West End location in a handsome Nash terrace overlooking Piccadilly Circus, but nobody ever went. Including me, in fact. It could have been the prices, perhaps it was the slight air of China Whites trashy glamour, perhaps through a combination of mysterious factors it just slipped off people's radars. There must be a myriad of complex and ethereal reasons why some decent restaurants flourish and others die a slow death; Cocoon was maybe just one of the unlucky ones. 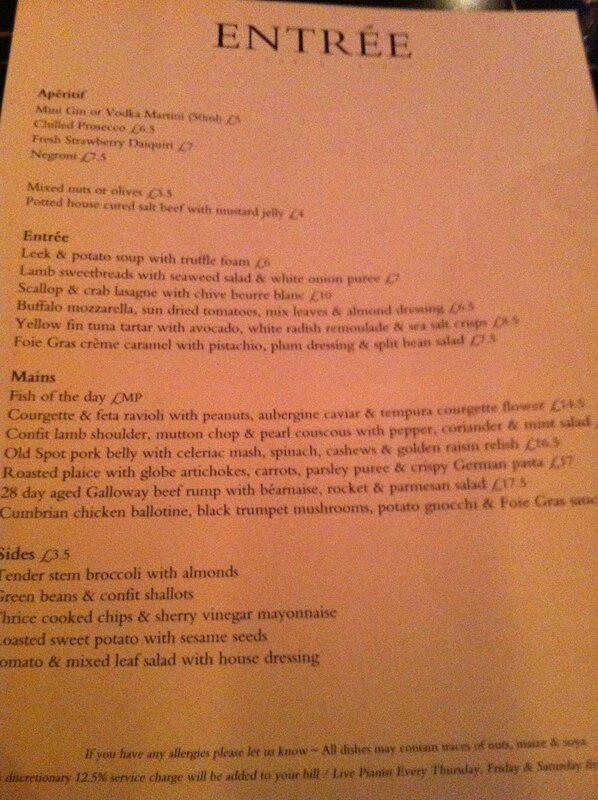 But now, it's back and all spruced up with a revamped menu. And very good it is too, if (as with the previous incarnation) you can look past the vaguely Travelodge décor and aren't too put off by the fact that without too much effort the bill can sail past the £100 a head mark. But good food is rarely cheap, and I will happily eat my dinner in a portaloo if the service is as sparkling and the food as accomplished as the dishes we tried last night. After a plate of shishito peppers (kind of a Japanese padron pepper, in fact literally identical to padron peppers as far as I can tell) and a rather nice passionfruit-based cocktail in the bar called a Frozen Flower, we ordered a selection of items from across the three main sections of the menu - "Raw Bar", "Senkai Plates" and "Robata". First to arrive was a very attractive maki selection of salmon, asparagus and crispy fried prawn, each fresh and bright and very easy to enjoy. The tempura prawn, in particular, was something I'd not seen in a maki roll before and was amazingly sweet with great texture contrasts. The best thing about the maki plate though was the house wasabi, which was thick and slimy (in a good way) and far removed from the cloying dry pastes you usually find in sushi selections. Still blew your head off, though. 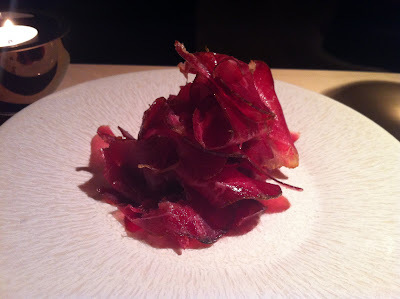 I couldn't get enough of the Cured Wagyu beef. Sliced into delicate thin wafers and boasting a huge amount of rich beefy flavour (not to mention a generous marbling of white fat), it was moreish to the point of addictive, and all the more enjoyable for being something I'd not eaten before anywhere else. 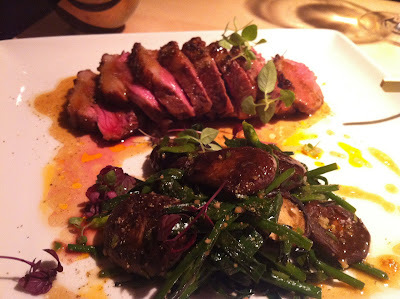 It was £16, admittedly, per portion but then this is Wagyu and there was certainly enough of it. 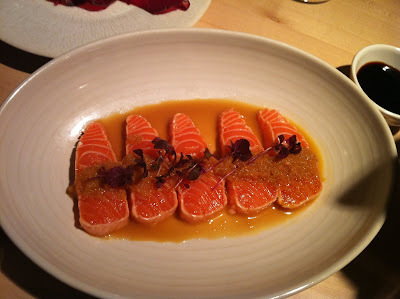 Salmon tataki dressed in something called wafu (vinegar and oil and who knows what else) were buttery and full of flavour, attractively sliced across the "grain" and neatly presented. 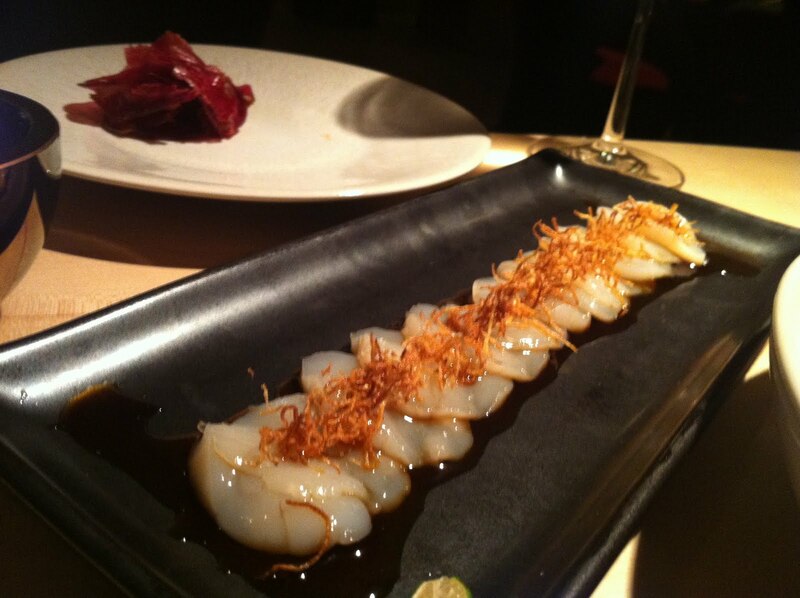 And the final item from the "Raw Bar" menu were these scallops with crunchy ginger, one of the few raw scallop dishes I've had in recent years that has the balance sweet scallops and accompaniments (citrusy ponzu and earthy fried ginger) just right. Very nice. From the "Senkai plates" we were nudged towards the Rock shrimp tempura with red chilli mayonnaise. "Like prawn popcorn" our waiter said, and he was quite right - the most delicate and fragile tempura casings around nuggets of sweet, warm crustacean and with a fresh chilli-spiked mayonnaise, they were, again, unusual (I hesitate to use the word "unique" although I've never seen them anywhere else) and very, very tasty. Pork and Jerusalem artichoke gyoza looked and tasted the part, too, with that familiar mix of soft dumpling underneath and crispy fried top side. From the "Robata" (grill), the first dish to arrive was a sliced rump of lamb, rather aggressively seasoned but of clearly high quality and perfectly cooked to juicy pink. I didn't detect much - in fact, any - of the advertised sansho (better known as Sichuan) peppercorns but maybe I'm just immune to the stuff now after too many dinners at Chilli Cool. 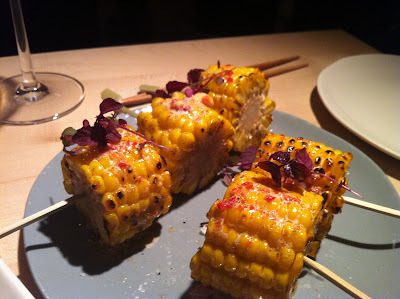 And almost as an afterthought we ordered "Grilled corn with lime butter" and these turned out to be completely brilliant, creamy and caramely with a subtle note of lime and burned sugar. 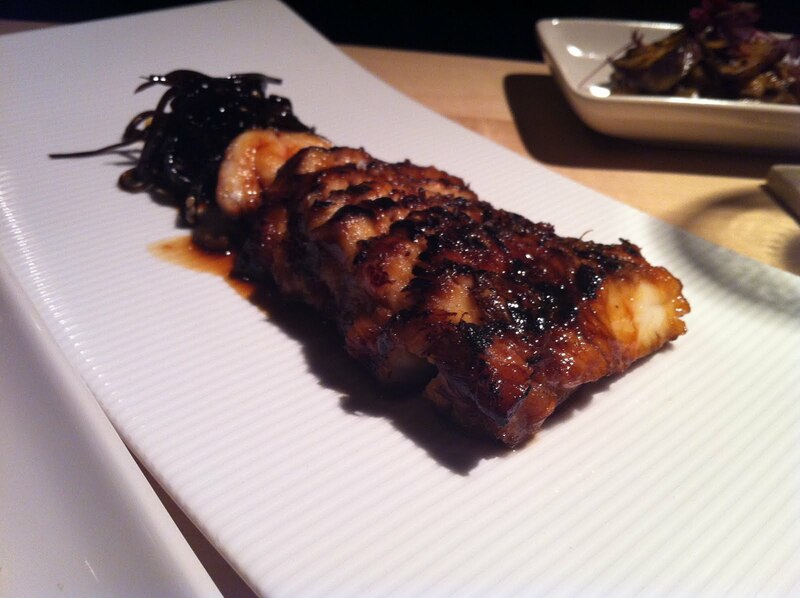 There was only one dish I didn't enjoy and it was this sliced monkfish in teriyaki sauce. It was so strange with its mix of sweet teriyaki sauce and very (very) "fishy" fish that I'm afraid I panicked and told the waiter I thought it might be off. It wasn't, of course - it was just weird, but full credit for the staff for being embarrassingly polite and reassuring, even so far as having the chef come out with a piece of the raw (bright white and completely odour-free) monkfish fillet to prove their point. Still didn't much like it, though. Monkfish aside, though, the food at Senkai is sensationally good, and furthermore, following my rant about bad service in Battersea last week, it was a delight to be back in a restaurant where everyone was polite without being obsequious, efficient without being harried, friendly without being matey. 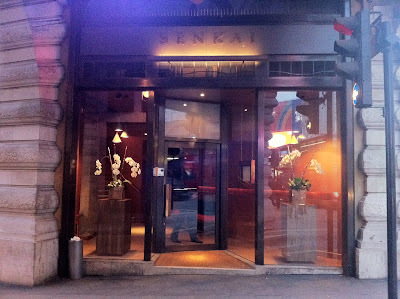 Front of house at Senkai were pretty much perfect, and made the evening all the more agreeable. The catch, as ever, is the price. 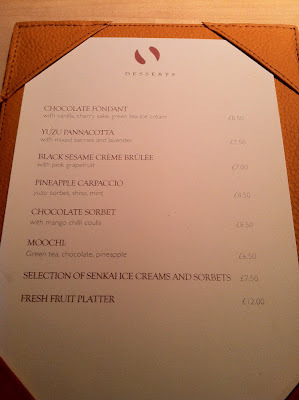 I could have gone a bit easier on the booze (story of my life) but between the two of us we had 5 glasses of wine and a cocktail (plus another side of roasted aubergine and a single course of mochi ice cream to share) and the bill came to £200. Which is a lot. 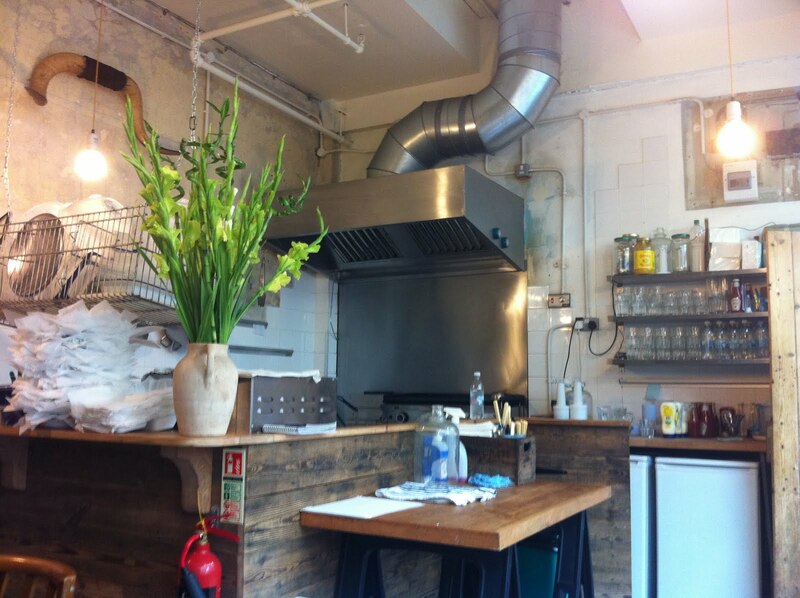 In fact, let's face it, it's an awful lot of money despite all the food being very good and with top quality ingredients and taking into account the stellar service. So, in the end, although I can thoroughly recommend the experience at Senkai, whether or not it can be considered to be good value may be a job for someone not being gifted their meal on the back of a PR invite (which I was). 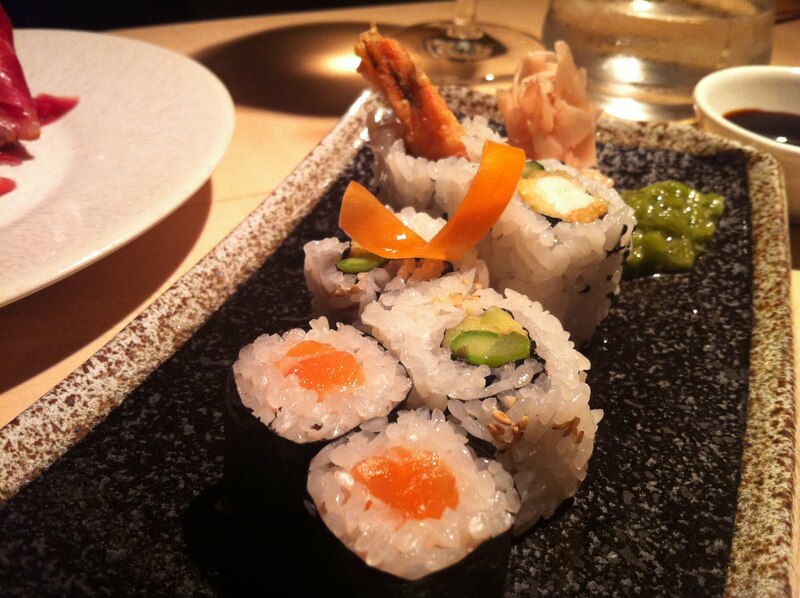 I will say this though - for sheer flare, passion and charm, you can do little better for Japanese food in London. Cocoon is dead - long live Senkai. 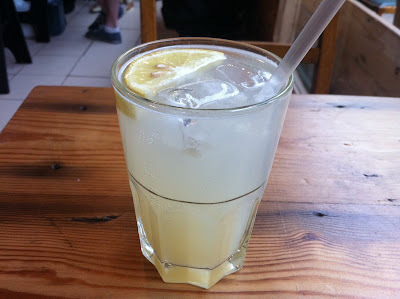 It occurred to me, in thinking over my experience at Entrée in Battersea last Friday, that I really don't mention service in my posts very much any more. Fortunately - and hopefully - this is because service across London restaurants is now generally of such a high standard that I run the risk of repeating myself ad nauseum if I make more than a cursory mention, although I realise that is desperately unfair to the waiters and waitresses providing it. The cruel fact is, the better service gets, the less you notice it, as attention is quite rightly diverted to where it matters - the food, and your company at the table. Front of house is only seen when it trips up - fluffed orders, missed requests, knocks and spillages; these will be noted. At its best, service is invisible. But while knocks and spillages, fluffed orders and long waits can be annoying, I reserve a special dark place in my own personal hell for the in-your-face best-friends-forever type of service. I'm sure you know the kind - an American import, and fortunately still far more prevalent over the pond, it's a style most famously employed by the flare-studded denizens of TGI Fridays or other such garish child-friendly chains. Catherine Tate parodied it brilliantly on her show in the form of mindlessly over-enthusiastic waitress "Amanda, though my friends call me Zebedee", and watching her perform that tedious spiel of practiced zaniness and awkward, charmless "banter" brought back many unhappy memories for me. I'm not much of a people person on the best of days, but when someone I'm paying to bring me my dinner starts acting like they're auditioning for reality TV, I just want the earth to swallow me up. 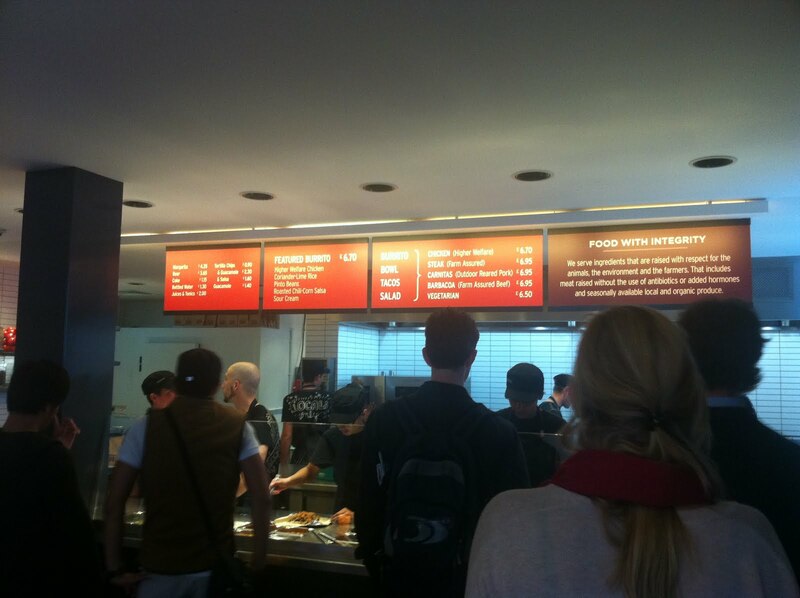 Which brings me back to Entrée. It's not a bad restaurant. 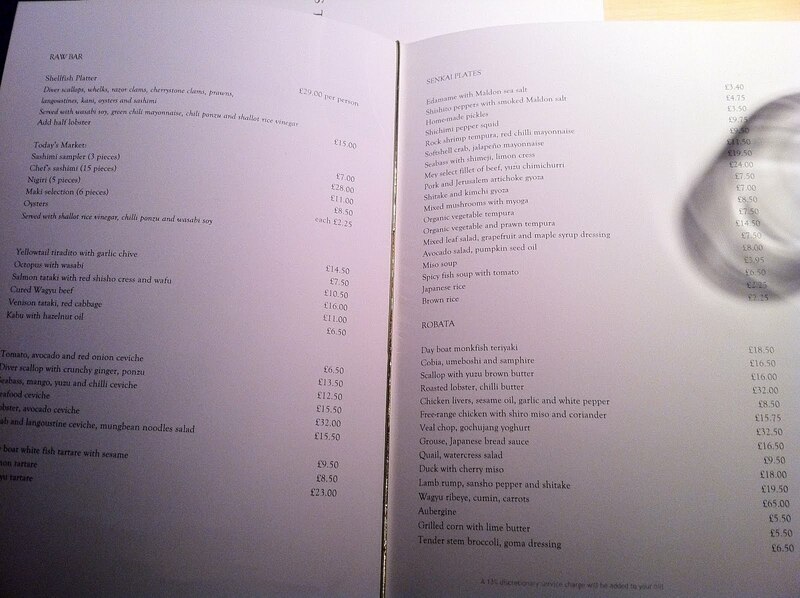 You'd have to do a lot more than serve dull, if competent, food in a pleasant enough building and not charge the earth for it (with wine the bill came to £33 each) to qualify as bad. But someone needs to tell the front of house that they don't need to know "how my day is going", they don't need to check if I'm enjoying myself every thirty seconds, and if I need a recommendation, a drink, a life story, anything, I'll ask for it. Otherwise, do your job and leave me the hell alone. I'm sorry if that sounds harsh but what could have been if not a brilliant but at least mildly enjoyable meal was very nearly spoiled by a member of staff determined to regale us with laborious, practiced chatter at every possible opportunity. But, the food. 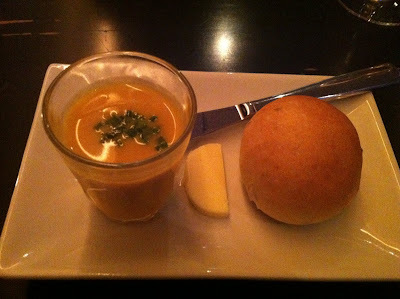 An "amuse" of piping hot butternut squash soup was quite well done, but as I'm determined to hang onto what passes as a British summer for as long as possible, there was something faintly depressing about a restaurant reminding you that, in fact, winter is on the way. Kudos for baking their own lemon-spiked hot roll though, at least. I think I did better with my starter than others. 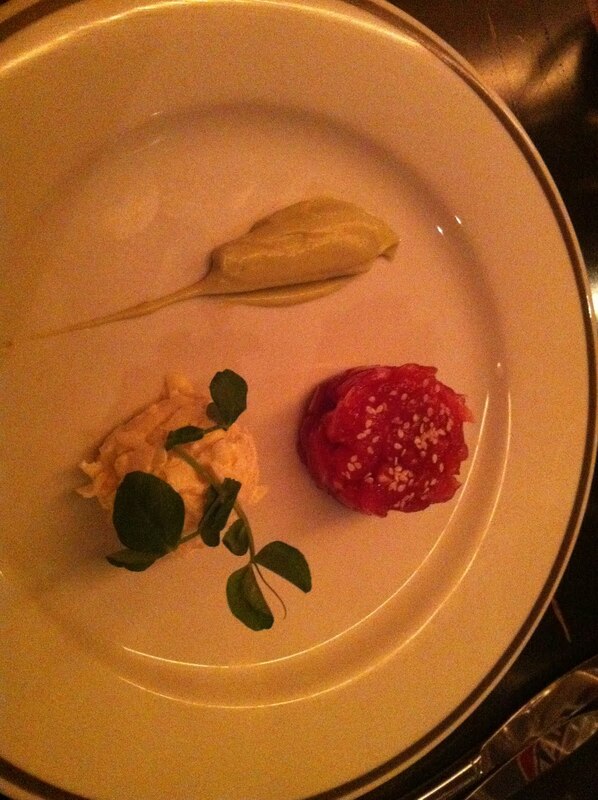 Tuna tartar came with a gentle horseradish and radish mixture, and a slick of buttery avocado. 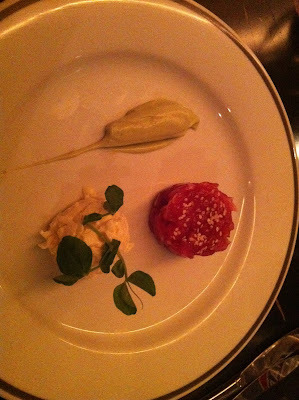 The tartar was unseasoned but came with a neat little bowl of salty breadsticks to dip in, and I rather enjoyed it once I'd managed to get all the elements balanced on the crisp together. Scallop and crab lasagne was very weird, like a big fishy blancmange and I really wasn't keen at all, although it went down well enough with the person who'd ordered it. Lamb sweetbreads were a bit mealy but fine. Apart from a giant, slimy lump of god-knows-what dumped on top of this dish of chicken ballotines and gnocchi, it was otherwise perfectly good, the chicken sous-vided somehow to preserve moisture in the mix of white and dark meat, and the gnocchi full of flavour. The black trumpet mushrooms were a bit woody and I didn't detect much of the foie gras in the "foie gras sauce", but nothing too offensive. Roasted plaice was cooked very well, though, and the fish of the day (Hake) was also moist and crispy in all the right places. Despite the OK food though, we couldn't wait to leave, just to escape the relentlessly irritating banter from our waitress. I'm sure she meant well, and all the food arrived in good time and she gets points at the very least for offering tap water without us having to ask, but her whole attitude was so constantly, exhaustingly cringeworthy it was almost enough to put me off my dinner. And believe me, that takes a lot. But if nothing else, the experience at the wrong end of service at Entrée just served to highlight the fantastic job most other restaurants do, and how rarely the heroes of London's front of house get the recognition they deserve. So thank God for the teams at Roganic, Galvin at Windows, the Polpo chain, the Crooked Well, José and anywhere else it's possible to enjoy a meal without interruption, irritation or interrogation. 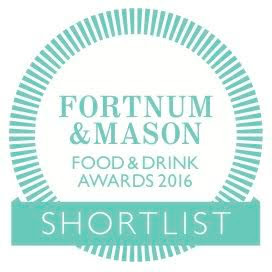 We may not often say it, but it really is always appreciated. Sorry about the poor photos - it's dark in there. 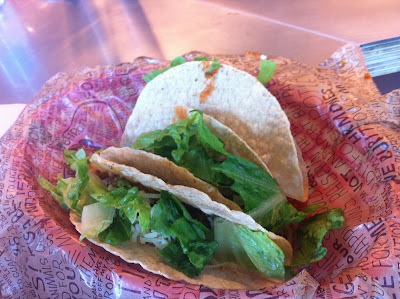 With due apology to all the places I've whinged about on this blog after only one visit, I made two trips to Chipotle, one to each of their two branches, before making my mind up about it. The first was a PR-organised lunch at Baker Street with everything that entails - a tour behind the scenes, the hard sell from the nevertheless charming American senior staff, and perhaps slightly more attention paid to what comes out of the kitchen than the average punter would enjoy. The second was, I hope, slightly more representative - takeaway tacos from their Shaftesbury Avenue branch, eaten al desko one lunchtime. Both were hugely enjoyable. 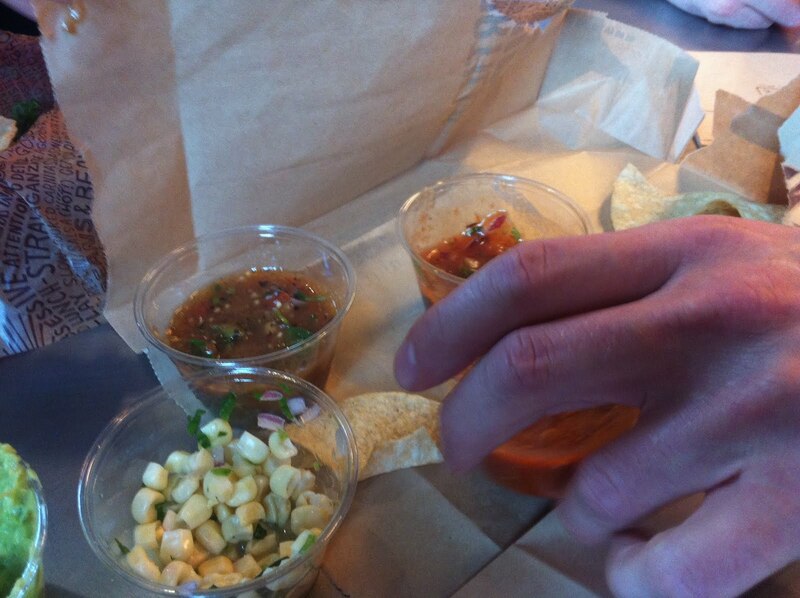 The fact that, as it turns out, I really liked the food at Chipotle came as quite a surprise. Though astonishingly popular (and numerous) in its native USA, the opening of the first UK branch in April last year was seemingly met by profound indifference by most food bloggers, with the tiny handful of people bothering to write it up split down the middle on whether it was a welcome addition to a city largely starved of decent Mexican food, or yet another bland American chain trying to do for tacos what Subway did for... whatever the hell Subway do. 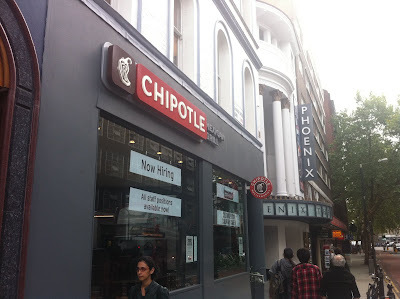 The general London public, though, just like their US counterparts, were more easily convinced - Chipotle is just as popular here as over there, with queues snaking out of the door almost every day. I can see why, too, although I didn't love everything. Whilst the hot salsa (made fresh every day from fresh ingredients, I was earnestly informed on my first visit) was powerfully flavoured and carried just the right amount of burn, some of the milder salsas, particularly the medium-hot "Tomatillo" and the mild "Roasted Tomato" had nothing much in terms of body to make up for the lack of heat, though I did think the "Roasted Chili-Corn" was very good - buttery and rich with just a slight glow of chilli. Also, although credit is due to Chipotle for making all their Tortilla Chips in-house, on my second visit they were stale and chewy, and massively overseasoned with some kind of citrus salt. But issues with ancillary foodstuffs aside, what Chipotle is really about is the burritos and tacos, and fortunately this is where the real magic happens. I have tried four out of the five main fillings, and can happily report that the "Chicken" is earthy and rich with a complex adobo; the "Steak" chunks are commendably moist and also benefitting from a good slick of the house adobo; "Carnitas" is straightforwardly enjoyable pulled pork, definitely up there with the best I've had in London; and - best till last - "Barbacoa" (note the spelling, Mr Oliver) is the most superbly moist, flavoursome slow-braised brisket. I would urge anyone who's not been to Chipotle before to start with something involving the Barbacoa - it really is shockingly good. It's not saying much, perhaps, that Chipotle is the best of the burrito places that have sprung up in London over the last couple of years. I've tried a number of the various Burrito Bros / Burrito Burrito / Hey We Do Burritos and most are pretty dreadful, bland and stodgy and never particularly cheap. And in fact, Chipotle isn't particularly cheap either, an order of three tacos with (nice, creamy) guacamole and a bag of tortilla chips being the best part of a tenner. 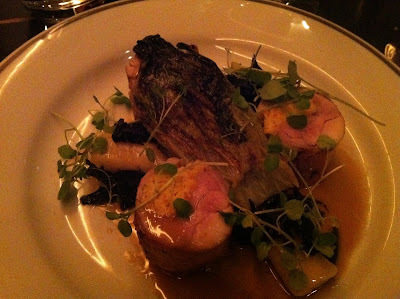 But, as ever, when the food is as tasty as this, fresh and exciting and served with a smile, it still feels like great value. Welcome to London, then, Chipotle - make yourself at home. 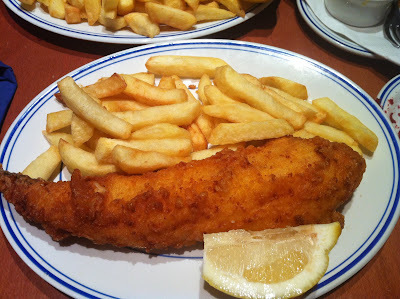 It is a cliché, repeated so often (mainly by Northerners) that it has almost become an accepted fact, that there are no decent fish and chip shops in London. 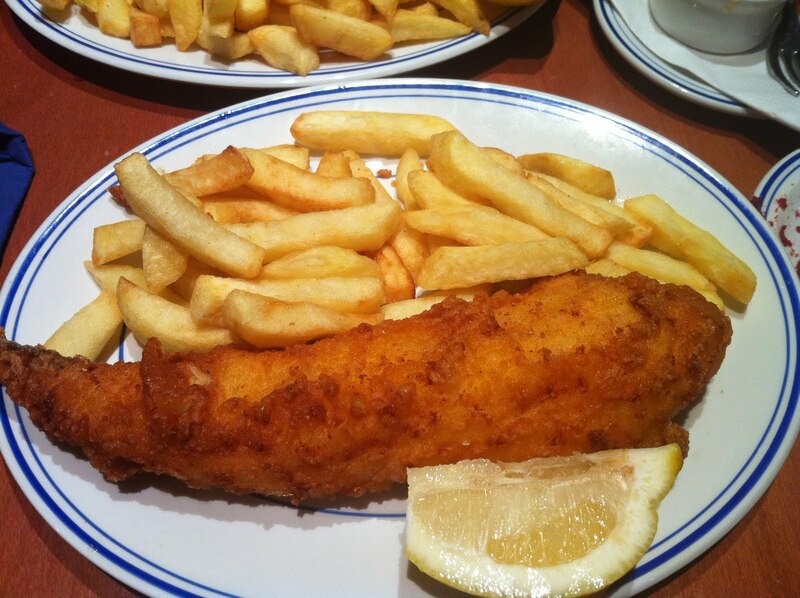 This is rubbish of course; there are some good fish and chip shops, there are just lots and lots of very bad ones. But there are also lots and lots of very bad restaurants of all kinds, and just because there's a Bella Pasta on every road in the West End doesn't mean the likes of Zucca and Trullo and Polpetto get overlooked. It's something unique to chippies, this idea that unless they're all good, they all simultaneously get dismissed as bad as one homogonous bunch. And it's also vaguely patronising - why shouldn't producing a top quality battered haddock and chips be just as difficult as a nice Osso buco or Fritto Misto? 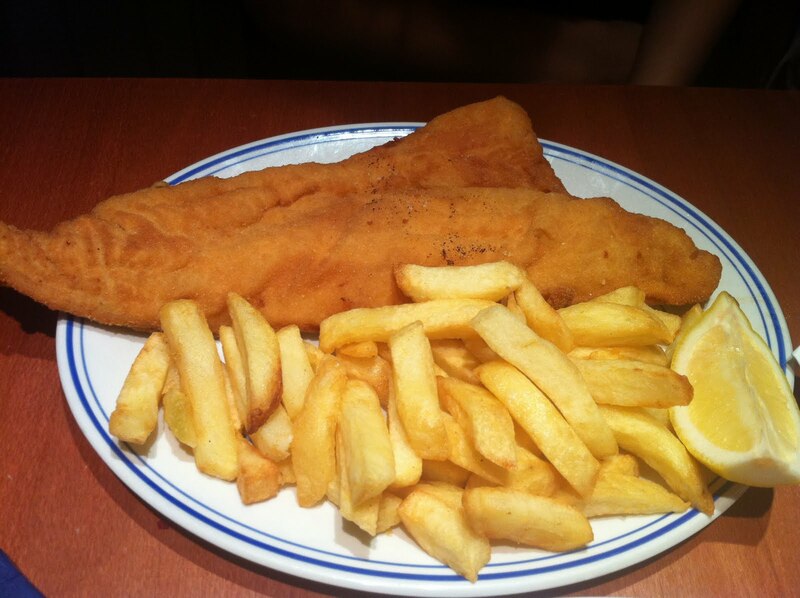 Good food is never easy, particularly so fish and chips. 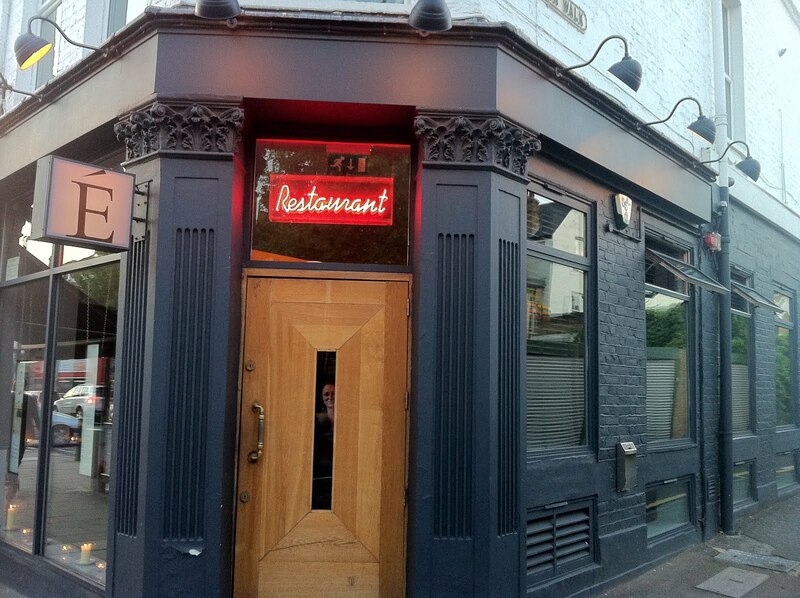 So put to the back of your mind the pallid, curled-up bits of fish kept warm for hours in your local takeaway, and brace yourself for the long tube ride to Zone 4, where Two Brothers restaurant has been serving lucky Finchley locals for the best part of a decade. At 7:30 on a Friday night you'd expect anywhere even half decent to be busy, and there was certainly a pleasant buzz about the place, but we were still seated immediately; most of the trade seemed focussed on the takeaway counter next door, which is either a sign of the current economic times or just that sitting down in a smart restaurant with a bottle of wine is still anathema to chippy-fanciers. We were happy for the table, though, despite the premium - I don't think even the most pristine cod & chips would have made it back to Battersea in any kind of edible form. Usually starters are a mistake in chippies - there's food enough in a single main course portion to keep you sated for a day - but actually the deep-fried battered cod's roe was interesting enough to be worth a shot, denser and more subtly flavoured than I was expecting, and served with an earthy dollop of pickled beetroot. 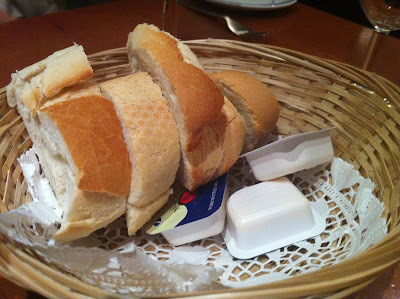 House bread was just supermarket baguette but you have to love the lack of pretension in the accompanying mini plastic cartons of butter. And before I get onto the main events, I should pay special tribute to the house pickles, sweet and fresh and bouncy, and what seemed very much like a homemade tartar sauce. It's the little details, you know. I don't know whether I should technically still be ordering cod - in fact I'm fairly sure I shouldn't - but if they taste as good as this I'm afraid you're going to have to come up with a very convincing argument to stop me, possibly involving the imminent cessation of all life on earth and the return of the four horsemen of the apocalypse. It was fantastic - a crispy (beer we were told) batter, not too thick and not too thin, containing flaky bright white very fresh fish. The chips were, well, I hesitate to use the word "perfect" but I can't for the life of me think how they might be improved upon; cooked simply in vegetable oil, once doused with malt vinegar and salt they were evocative and nostalgic and just plain delicious in the way all great food is. 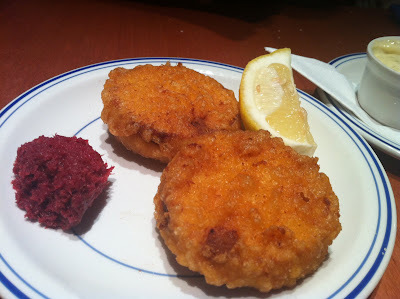 Two Brothers do a matzo meal option instead of batter for an extra 50p, and my friend's haddock fared equally well in this coating, fresh and firm and tasty; I preferred the normal batter, but then I am a bit of a Northern traditionalist - I'm prepared to believe that each coating style can find an appreciative audience. 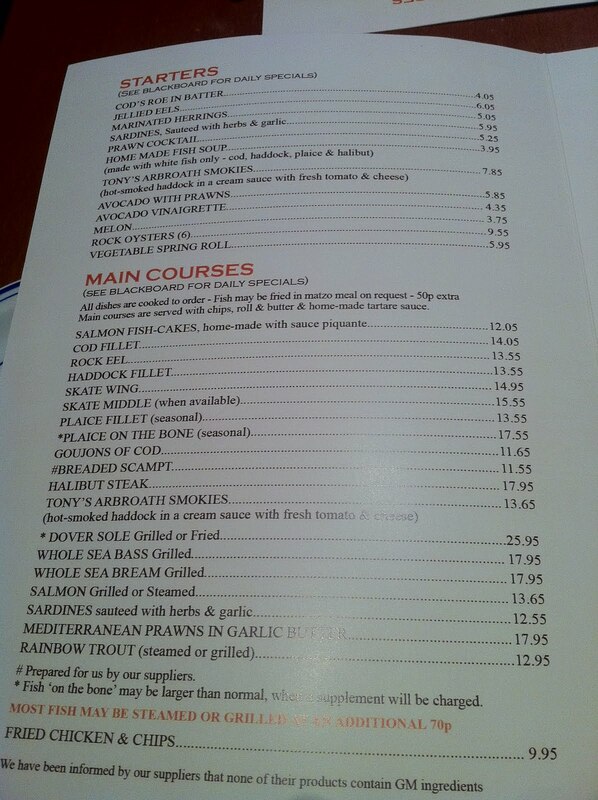 All this only goes to prove that, at the risk of stating the bleeding obvious, there is decent fish and chips to be found, you just need to do a bit of research. A bit like oh, I don't know, the kind of research any sensible person would do before parting with their money literally anywhere. It's not rocket science, just don't rock up at your nearest kebab shop and expect anything decent, do be prepared to travel and - most importantly - keep an open mind and don't dismiss every chippie in London on the back of a sad, lazy majority. There may be a dozen purveyors of dried out old haddock and oily chips for every Two Brothers, but that just makes the places like this all that more special. Three or four years ago I used to work in Brixton, in a strange, bohemian loft-office above a furniture workshop on Saltoun Road. I liked that arrangement, at least for a while - the commute was just one bus from Battersea, meaning I could save a fortune on tube fares, and there were plenty of really interesting (if not always 100% safe) options for after-work drinking. What wasn't quite as easy, at that time, was lunch - there was a very worthy (and very expensive) organic cafe on Coldharbour Lane which did a BLT sandwich for the best part of a tenner, a smattering of Japanese places that while not brilliant were at least reliably OK, and a strange place called Satay Bar whose confused menu of Japanese, Indonesian and Chinese "things on sticks" played second fiddle to a sickly cocktail list. I'm probably exaggerating slightly - there were a few more and probably better places to eat, but options were certainly limited. How times have changed. Brixton market, sorry "Village", used to be a weird area full of strip-lit halal butchers, mobile phone accessory stalls and greengrocers selling massive yams and baskets of giant African land snails. And in fact, to a degree, it still is. But now, in amongst the odd stubborn clinger-on from the early days are an astonishing number and variety of smart food outlets. Marina O'Loughlin has already given a far more eloquent and comprehensive summary of what you can find there than I ever could, but everything she says is true - it is a wonderful little place for a wander, and I spotted at least a good half dozen exciting ways of spending my lunch money. 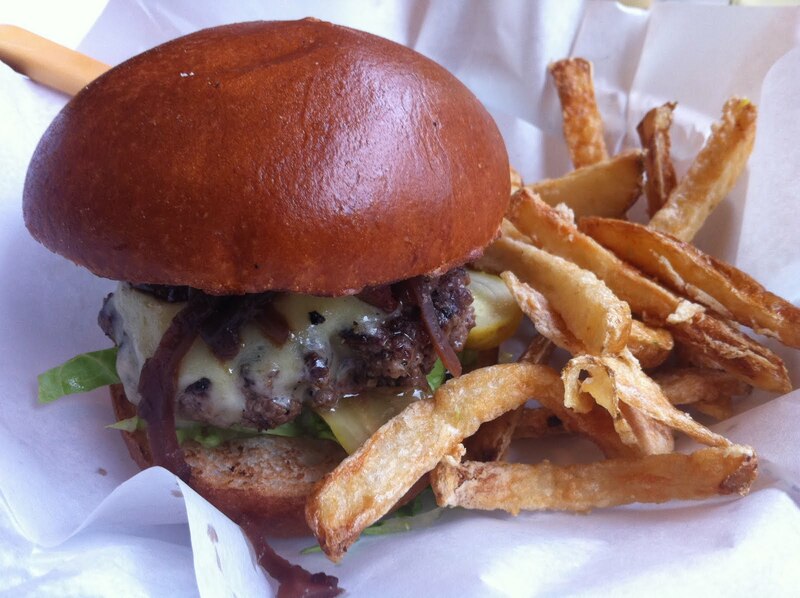 This time though, and like so many other times in my life, my money - and my mind - were on one thing - a burger. 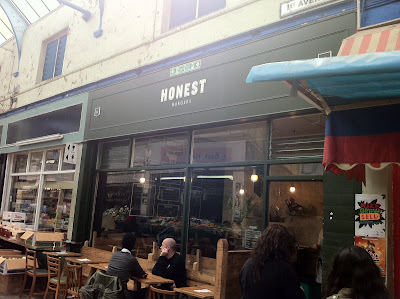 Honest Burgers is an artfully designed little place, and despite having space for no more than a handful of people it feels airy and comfortable rather than cramped. I hardly ever talk about interior design, through a killer combination of apathy and blinkered food-autism, but Honest Burgers is really nicely done, all solid wooden furniture and Spuntino-style hanging lightbulbs. The menu is short - another massive pro point in my book - and straightforward, just chicken or beef burgers in a couple of different styles. And it all seemed very good value too - £6.50 is a great price for a mid-range burger, especially when you consider it comes with chips, which are often extra elsewhere. 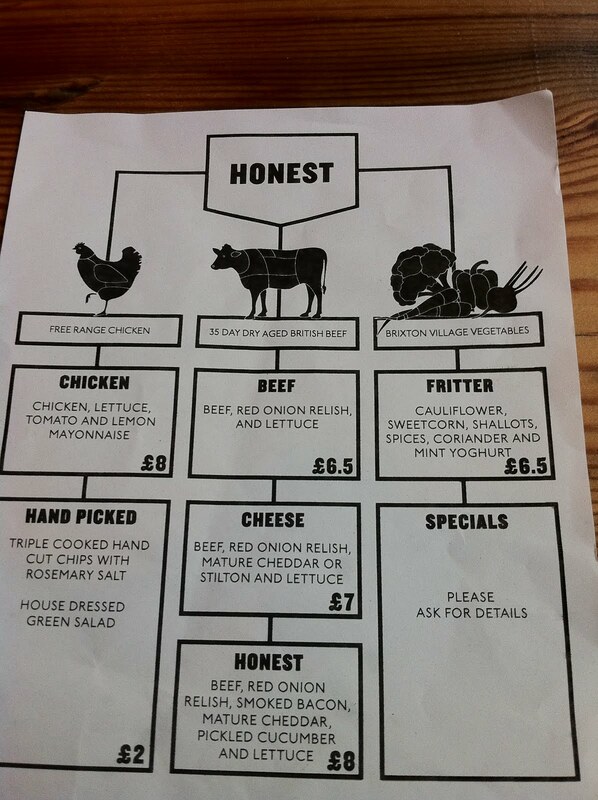 This, though, is the Honest Burger itself (£8), their flagship offering. Inside a glossy (if ever so slightly crumbly) brioche bun is an aggressively seasoned beef patty (cooked from raw mince pressed by hand onto the hot plate) under not-quite-melted cheddar, sweet red onion chutney, sliced (and excellent) pickles, some token lettuce and a nice crisp layer of streaky bacon. And it was good. 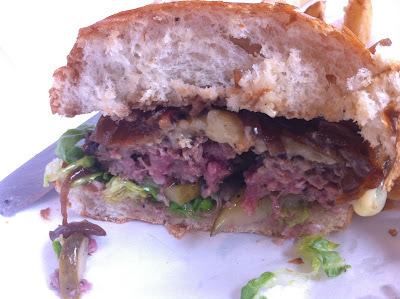 Not brilliant, but good - great textures, juicy beef, probably a cut above the standard Byron burger for example, and for the same money, although Byron have already hit back with their Uncle Sam, a take on the traditional US cheeseburger and also featuring a brioche bun. 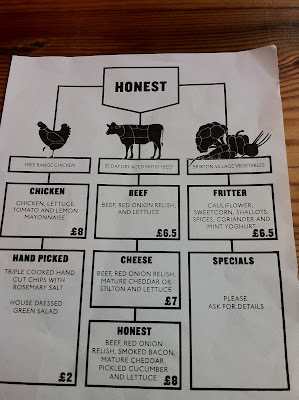 I could harp on about the problems with the Honest Burger - I'm not sure onion chutney has any place in a burger, and the bits of cheddar that hadn't melted were rather cloying and overpowering - but really, it was a solid, enjoyable, and yes, honest, effort. 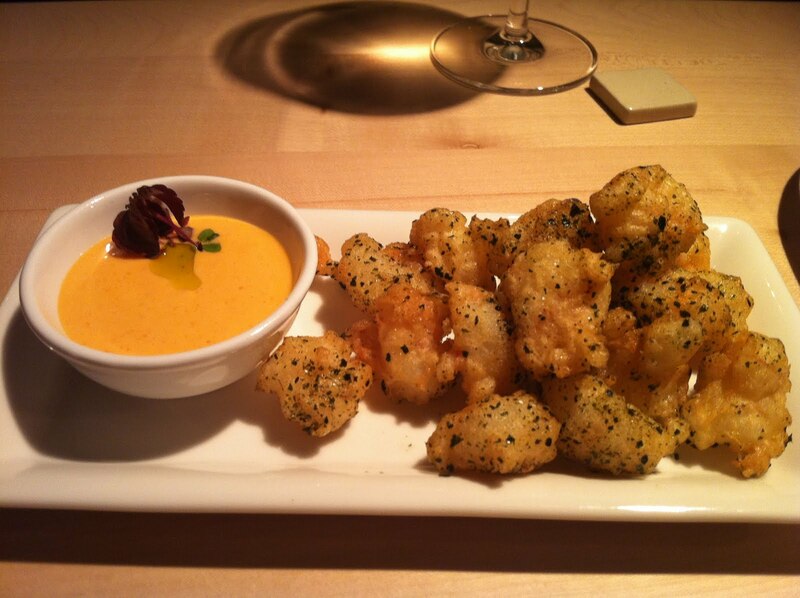 Rosemary-salted triple-cooked chips were top notch though, all crunchy and twisted like calamari. The problem, in fact the only real problem that Honest Burgers have, is the continued existence of a mobile fast food van currently operating out of the kitchens of a Peckham pub. You're probably sick to death of me going on about the Meatwagon, but comparisons are inevitable due to the very similar cooking methods (I think I even saw them use a cloche to melt the cheese onto the beef, although not to steam the bun) and however much I'd like to judge Honest Burgers on their own terms, the fact is, Meatwagon do this kind of thing better. I ate my Honest burger thinking about how I'd like to see the pasty cheddar replaced with Kraft cheese, to lose the chutney, to add a bit of ketchup and French's mustard. And perhaps with a firmer, greasy sourdough bun instead of the crumbly brioche. And then I realised, what I actually want is a Meatwagon. Honest Burgers, simultaneously to their great credit and sad detriment, have created a product that evokes memories of better things without quite the sparkle and - let's face it - black magic that others have managed. But you know what, it's still a good burger and you can still do worse. So, good luck to 'em.